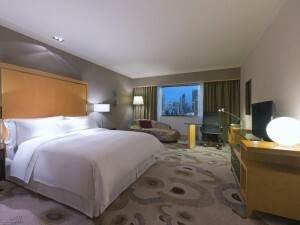 The Westin Grande Sukhumvit Hotel is a five star hotel on the corner of Sukhumvit Road and Sukhumvit Soi 19. The hotel is directly connected to Asoke BTS station by a skywalk bridge, making it possible to get to the BTS and across Asoke intersection without having to walk on street level. Built in 1993, the hotel was renovated in 2003 and has spacious rooms and suites with good views of the surrounding area. 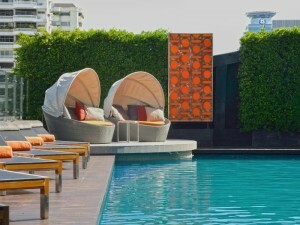 There’s also a lovely outdoor pool and a convenient fitness center for guests that like to exercise.